This Little Bay hotel is on the beach, 1.4 mi (2.3 km) from Blue Hole Mineral Springs, and within 9 mi (15 km) of Negril Hills Golf Club and Royal Palm Reserve. Seven Mile Beach and Throne Room are also within 12 mi (20 km). 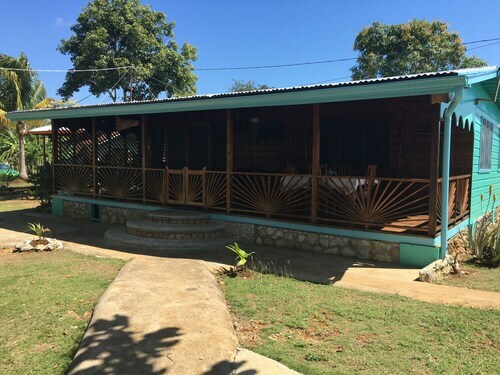 Situated near the beach, this cabin is 3.2 mi (5.1 km) from Blue Hole Mineral Springs and within 12 mi (20 km) of Negril Hills Golf Club and Royal Palm Reserve. Seven Mile Beach and Throne Room are also within 16 mi (25 km). 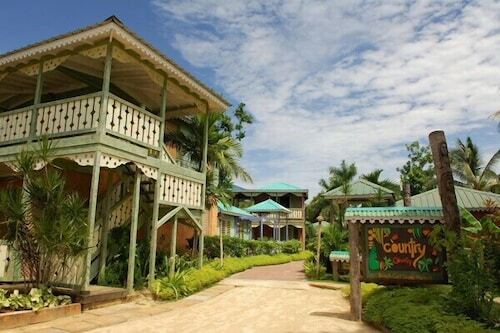 Coral Cottage Jamaica - Caribbean Seaside Villa, Right Outside of Negril! Situated by the ocean, this romantic property is 2 mi (3.2 km) from Blue Hole Mineral Springs and within 12 mi (20 km) of Negril Lighthouse and Negril Hills Golf Club. Royal Palm Reserve is 11.2 mi (18.1 km) away. The Legend Villa at Little Bay Cabins, a Secure Property in Little Bay, Jamaica! Situated by the ocean, this romantic property is 2 mi (3.3 km) from Blue Hole Mineral Springs and within 12 mi (20 km) of Negril Lighthouse and Royal Palm Reserve. Negril Hills Golf Club is 10.8 mi (17.4 km) away. How Much is a Hotel Room in Little Bay? Hotels in Little Bay start at per night. Prices and availability subject to change. Additional terms may apply. If you're thinking of vacationing in Negril and have your eyes peeled for a hotel in Little Bay, Travelocity has a wonderful range to decide between. Start your research by perusing the 73 accommodation alternatives on Travelocity, all of which can be found within a 6-mile (10-kilometer) radius of the downtown core. Wise travelers looking to find Travelocity-listed places to stay conveniently located close to the heart of Little Bay, can readily find Richie's on the Beach and Coral Cove Resort & Spa. 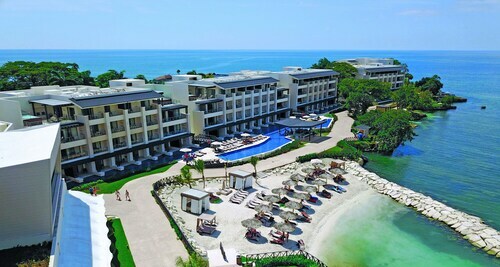 The Beaches Negril Resort & Spa - All Inclusive is about 7 miles (12 kilometers) from the main part of Little Bay. Another accommodation option is the The Caves Hotel, which is positioned 6 miles (9 kilometers) away. Some other possible Travelocity-listed hotels are the Sandals Negril Beach Resort & Spa Luxury Inclusive and the Couples Swept Away All Inclusive. 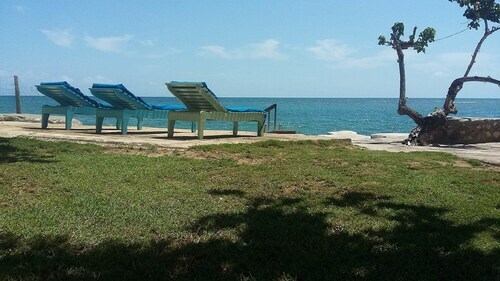 The nearest hotels in Negril include Seven Mile Beach and West End. Seven Mile Beach is 8 miles (13 kilometers) to the northwest of Little Bay, while West End is 6 miles (9 kilometers) to the northwest. 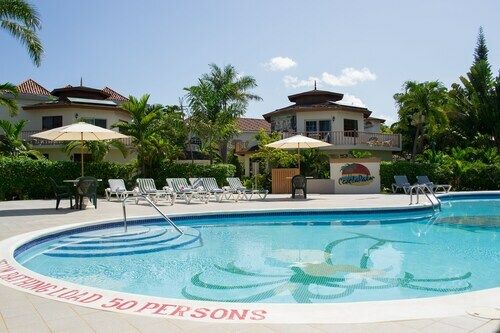 Travelocity-registered hotels and apartments in Seven Mile Beach are the Couples Negril All Inclusive and Hedonism II All Inclusive Resort. The The SPA Retreat Boutique Hotel and Tensing Pen Hotel are a selection of the hotels and apartments in West End. If you think of sport as your life and enjoy the thrill of thrilling games you and your traveling partner could get to Jarret Park, which can be found 30 miles (47 kilometers) to the northeast of Little Bay. Anybody that need to find accommodation options near the stadium should read about the Secrets Wild Orchid Montego Bay - Luxury All Inclusive or the Sandals Montego Bay - All Inclusive. Sir Donald Sangster International Airport is a major entry point for those flying into Little Bay. It's located 30 miles (49 kilometers) from the downtown precinct. 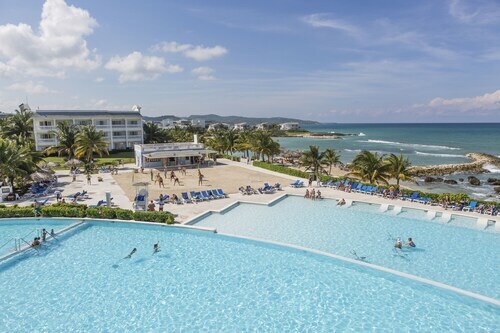 For travelers who would prefer to find Travelocity-listed accommodation nearby, try the Secrets St. James Montego Bay - Luxury All Inclusive or The Oasis at Sunset - All Inclusive. The property was nice, but needs a lot of upgrades. You have to watch your step when walking out of the room if you're staying in the upper cliff buildings. Lots of uneven steps around this property. Lack of authentic Jamaican foods there. Everything is not all inclusive there either. This hotel is about 30 minutes from the seven mile beaches. No beach here, just one pool here and 1 kids pool. You can jump into the water off the cliffs here. The staff is nice, the times when you eat are spaced out. Breakfast 8-10 Lunch 12-2pm and dinner 8-10 pm. Lack of towels and wash cloths as well and the water pressure here is not good. The toilet stops up also. The rooms need celling fans, because the A/C unit wasn't working that great. The one bar closed at 10pm once dinner was over. There is nothing to drink or eat from this place after that. We paid for all inclusive and we had to go the the local store to buy drinks and food to bring back to the room. No mini refrigerator in rooms either. Liked plenty to eat and drink, staff very friendly and willing to please. Did not like: not enough covered spaces at pool. I would recommend this place to anyone. Service was top notch. Love the diamond club upgrade. The hotel took extra effort to make sure to have extras like hair dryer, iron and ironing board, coffee maker and coffee, tea pot with tea in each room. They take great pride in keeping their property in top condition. The employees were helpful, happy, and wonderful. The restaurant offers delicious food. We loved the continental breakfast. The beach is calm and shallow. Staff very friendly and helpful.